I hope all of you are doing well and had a wonderful Eid break. I just wanted to thank and congratulate Mr. Farhat Mehmood and the EPCA committee for a wonderful cricketing event organized against Jubail Cricket Association (JCA). I am truly honored and obliged that EPCA had named the trophy after my father, Mr. Sikander Farooqui (late). I thank Mr. Farhat Mehmood, Mr. Tahir Karamat, Mr. Abualhasan and their team for always remembering and honoring him for his services of more than 20 years in EPCA. Since I was a kid, I had seen my father do his best to bring people and associations together through cricket and it is great to see the expansion of EPCA with the addition of JCA under its umbrella. It is easy for us players to come to the field and play but it takes so much of hard work, effort and time to get everything ready and prepared for us. The EPCA committee works very hard and all of us should appreciate their hard work and selfless dedication towards the betterment of cricket. The personal efforts that Mr. Farhat Mehmood, Mr. Abualhasan and Mr. Imtiaz Meerkar had put in for the event are truly commendable. Moreover, I would also like to appreciate Mr. Zahid Haider for his wonderful efforts in repairing the cricket pitches on majority of the grounds ensuring player safety. It is for people like our seniors that cricket is still alive and played with great dedication. My father bled cricket and considered EPCA as his child. I am happy that he has left the association in wonderful hands who are taking great care of it. Both the matches were very exciting and were played with great sportsman spirit shown by all 4 teams. I was honored to lead a team with players of great caliber and I thank Mr. Farhat Mehmood, Mr. Tariq Tanwir and Mr. Abualhasan for bestowing me with that honor. The prize distribution ceremony was great with wonderful trophies and medals awarded to players and umpires. 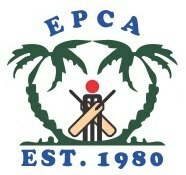 May EPCA always prosper and grow so all of us can keep enjoying this sport. Good luck for the upcoming season! Have an amazing year and wishing all the teams the very best!